Addicted to Rubber Stamping: Winter, I'm Outta Here! I have another wonderful image for you from Doodle Pantry today. This card was so much fun to make. I am also using one of the new .svg cut file sets, as well. It is called Card Cut Basics. If you own a cutting machine that accepts .svg files, and haven't tried one of these sets yet, you really should. They are super easy to use and a LOT of fun! I chose to use the octagon card cut file. 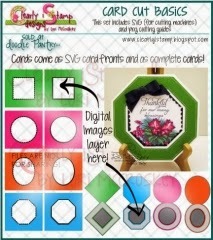 The set includes the card shapes as well as just the card fronts (if you want a traditional square or rectangle card). There are several layers to this card shape. The base was cut using a tan card stock and the second layer was cut with a light blue card stock. I printed one of the designer papers onto white card stock and then used that to cut the top layer. I chose the scalloped inside (there is also a plain edged one) to frame the image. I used a pre-colored image from the Canadian Goose set. I absolutely fell in love with this color scheme. It's masculine, but with more subtle colors. You can't tell from the picture, but the frames have been lifted using foam sticky dots in two sizes, so there is a lot of dimension to the card. The sentiment, also from the set, was printed on white card stock, with a black card stock mat. The branches are from a punch and I used gold glitter, silver glitter, white and light blue card stock. Once I arranged them on top of each other, I added a black goosebump crystal at the base of each one. To finish the card, I added black crystals angled under the focal image. Here are images of the sets I used for this card. Don't forget to leave a comment on the Doodle Pantry blog for your chance to win some awesome BLOG CANDY. Winners will be chosen on December 30th! I think everyone is getting TOO COLD this winter. I know I'm over it, and I don't even live in the cold. Thanks for sharing your art in our challenge, and please stop by again soon Susan. I always enjoy having you play along with us. Super awesome card. Great shape and fabulous image! What a neat card. Love the great shaped look too! Great looking card and perfect for a guy. Love the shape and all the added dimension. Beautiful card! Love the fab shape! Wonderful design! Love this card Susan! I agree the shape really works here! Great job! This could not be more perfect Susan! What a great card! This is so neat! 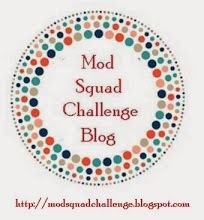 I saw it on the SAS4Kids blog, and the octagonal shape caught my eye. 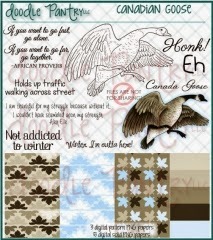 Love the combination of the goose & greeting--just perfect! Thanks so much for sharing this, and have a wonderful day! Boy oh boy...have I missed some of your postings. You are great at using this cut files. This is so beautiful!!! !